Asylum seekers crossing into Canada from the United States face further hurdles trying to attain refugee status here, according to an Ottawa immigration lawyer. Last weekend, 22 refugees arrived in Emerson, Man., after sneaking across the Canada-U.S. border. 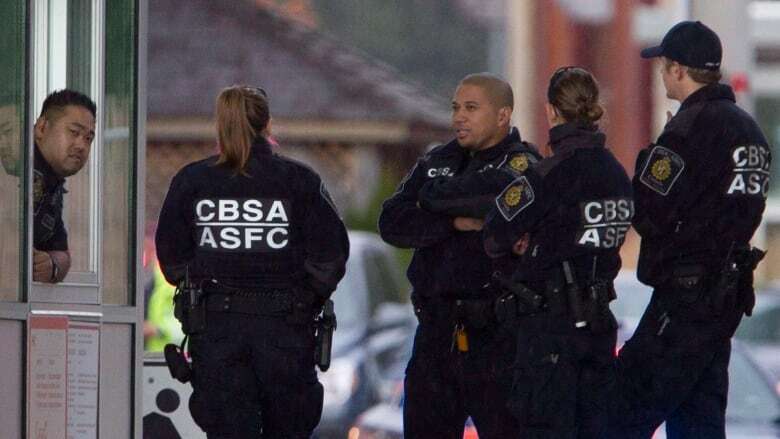 According to the Canada Border Services Agency, they're just the latest among a growing number of immigrants crossing the border illegally, many of whom cite the recent election of U.S. President Donald Trump and his policies as their reason for seeking asylum here. But Ottawa immigration lawyer Jackie Bonisteel of Corporate Immigration Law Firm says it may prove difficult for the newcomers to claim refugee status after arriving from the U.S. Speaking on Ottawa Morning, Bonisteel said the influx is "not all that surprising given what is happening in the U.S., given the talk of completely dismantling the refugee program for even a temporary period of time." Because Canada is a signatory to the UN Refugee Convention, Bonisteel said, anyone who arrives on Canadian soil to make a refugee claim has a right to do so, and has a right to a hearing before the Immigration and Refugee Board. There claimants must demonstrate that they have a well-founded fear of persecution because of their race, ethnicity, religion or gender. "So the actual definition to become a Convention refugee is actually quite narrow and you need to prove your credibility," Bonisteel said. "You need to prove the story you are telling is in fact true." If the claimant has already been accepted as a refugee in the U.S. they would have to prove that they have the well-founded fear of persecution there, as well as in their country of origin, Bonisteel said. Essentially, they must make a claim for refuge from the U.S.
That's exceedingly difficult to prove, even now, Bonisteel said. "[It] would still be challenging in this Trump America to make a refugee claim against the U.S. because you need to prove that there is no access to state protection — that the police, the authorities couldn't protect you, [that] there would be no safe place in the entire country. I think members of the Immigration and Refugee Board who are designated to make that decision would be reluctant to set that sort of precedent." Claimants who don't already have refugee status in the U.S. would not be granted status in Canada because of a "safe third country agreement" between the two countries, unless they had family members here. Still, Bonisteel said she thinks the debate over refugees fleeing to Canada from the U.S. is far from over. "I think there's going to be a lot of debate of course about whether the U.S. still legitimately qualifies as a safe country for refugees," she said.